Most Super Smash Bros. Ultimate users have compiled a nice highlight reel of awesome plays over the course of their time with the game. Some may have wrestled with the question of how to make those highlights look good. Fortunately, Wednesday's upcoming Version 3.0 update is here to help. 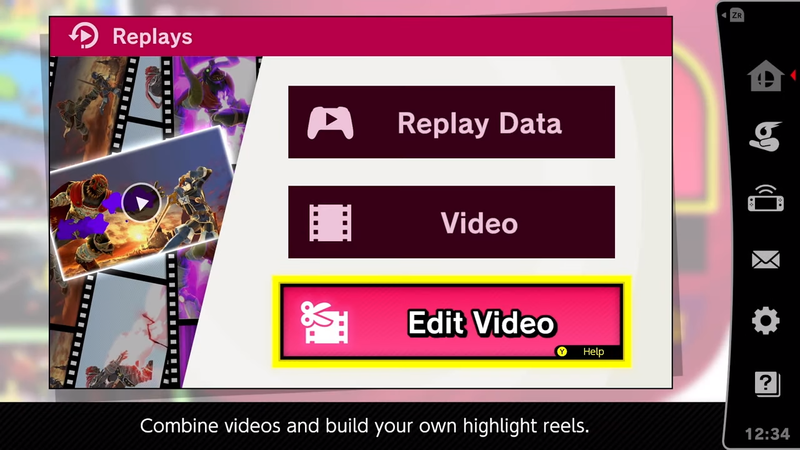 As part of its massive Tuesday night presentation, Nintendo revealed details on a new Video Editor that should be of interest to anyone looking to put together some good clips. Version 3.0's Video Editor thankfully looks like it'll be easy to use, even for the most basic of video amateurs. The layout will appear similar to Adobe Premiere, Windows Movie Maker, or whatever video editing software you may use. Players can upload their video clips and split up footage, create transitions, or even substitute in different audio. The Video Editor will also toss in some different effects. Creators can take advantage of different caption options in order to add a little zazz to their highlights. Players have the option to either keep these videos to themselves or share them with the world. 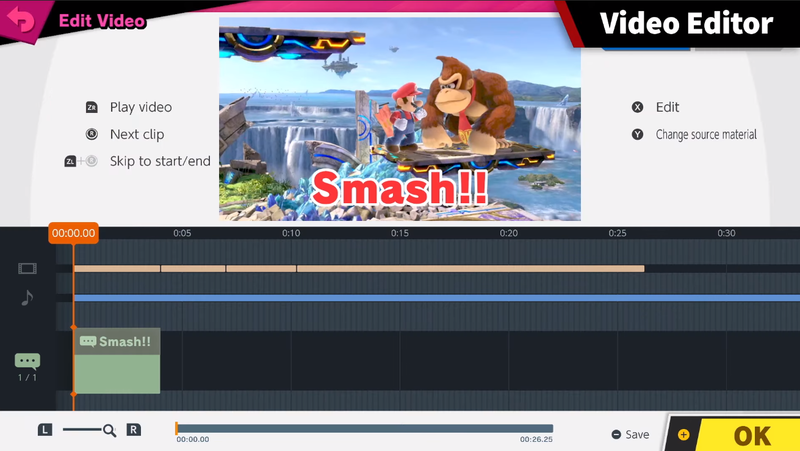 The Shared Content feature that covers Version 3.0's new Stage Builder can also be applied to any videos created. So if you feel the need to share with the world, be sure to share your video and let others know to find it either in the Smash World app or within Super Smash Bros. Ultimate itself. The Video Editor will be included with Version 3.0, which is set to launch on Wednesday, along with Challenger Pack character #1, Persona 5's Joker.